I was just saying last night how fantastic Canadian television has been of late. We have Lost Girl, Flashpoint, Sanctuary, Warehouse 13, Degrassi, Rookie Blue. The list goes on. And tonight it just got bigger. 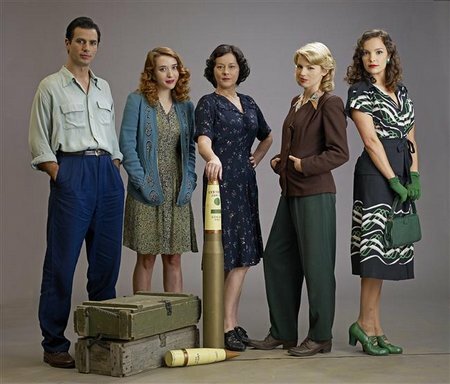 Global television and Shaw Media took us back in time to the Toronto of the 1940s. There’s a war on, and most of the men have gone to the front, leaving a gap in the work force, and women, who weren’t allowed to fight found other ways to join the war effort and make money to help their family survive. They worked in a munitions factory. The 6 episode mini-series follows the lives of amazing and every-day women as they struggle with what is defined by the times, as a man’s world and a man’s job. In one episode they have managed to not only set up the story as well as fully realized characters, they’ve involved me emotionally. Not something easily done in a first episode, cause the show is trying to introduce you to all the characters, to learn who they are, how they fit with the others, and a glimpse into their lives. 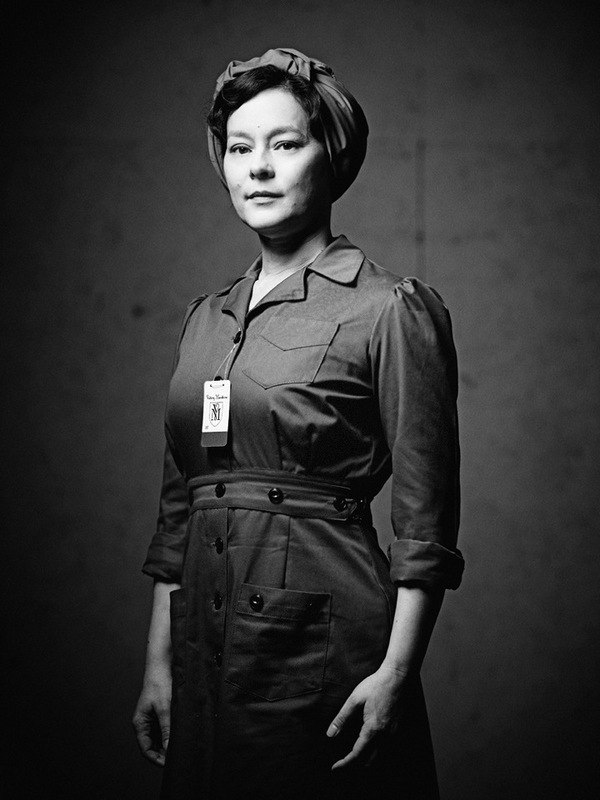 Meg Tilly plays Lorna Corbett, she runs the factory floor for her shift. She wants what’s best for her girls and her factory, even pointing out that there is an Italian man (who’s father is being held in an internment camp) working at the factory, which she feels constitutes a security threat. Her husband played by Peter Outerbridge returned from the first world war a broken man, her two sons are both serving, and her daughter works in the hospital.She has a brilliant scene when two airmen arrive at the factory to inform them of a death, and to see her performance is heartbreaking to watch the pain, sorrow, relief, guilt, and determination cross her face in moments. Amazing. 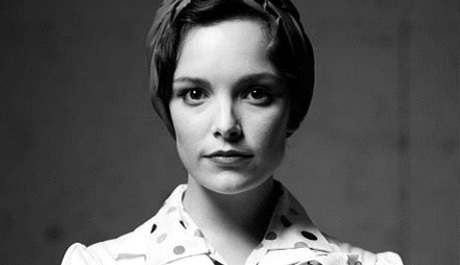 Jodi Balfour plays Gladys Witham. She comes from a wealthy family, and seems to be nothing to them but a way to secure a wealthy American son-in-law. Father, mother, and fiancee are less than happy that she’s decided to work at the factory. She on the other hand feels that there is more that she can be doing for the war effort than just alphabetizing, and is almost envious of the girls on the floor, making time to sit and chat with them, while her fellow office worker shuns them, referring to them as ‘barbarians.’ But Gladys is young, idealistic, and wants more than what her self-professed pampered life has given her so far. She slips out at night to the dance, joining some of the factory girls, where the local ladies dance with the soldiers to build morale and hope. She is a young woman on the verge of finding herself, learning she can do and be more in a time where every person counts. Jodi plays the role with fire, and determination, a woman fighting to find who she is, and where she fits in the world, wanting to be judged not by her appearance, but by her actions. 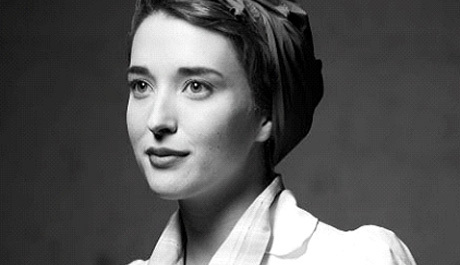 Charlotte Hegele is Kate Andrews, the daughter of an angry preacher who isn’t afraid to be free with his hand to make a point. Kate, with a little help, escapes and flees to Toronto, changing her name, and ending up in a woman’s flop house. She’s a shy, self-conscious girl, beaten into submission long ago by her father, and now learning to be her own person after getting a job making bombs on the factory line. She has a beautiful voice, which is revealed to her co-workers in the scene when the airmen come to notify them of a death, and physical scars that are revealed to her friend Betty. Charlotte turns in a heart-touching performance. She’s the girl you look at and say, you’re so amazing, how do you not see it? For the first time in her life, she is the one making the decisions, making friends and trying to survive the war in her own way. Alie Liebert plays Betty McRae, a prairie girl from Saskatchewan who plays it tough. But through Ali’s performance, we get to see that the tough act is just that, a bit of a facade. She’s opinionated, judgmental and doesn’t take crap from anyone, nor does she seem to worry about offending them either, putting her at odds with Gladys early in the episode. Yet when she glances Kate’s bruised and scarred back, her demeanor towards her changes completely, and she tells Kate she’ll look out for her. Her scenes with Charlotte are some of my favorite in the series so far, with Ali bringing depth to what could have been a cardboard cutout of a character. The series in one episode has shown the sexism, racism and mindset of a nation at one of the most pivotal moments in history, through the eyes of the women who were there. They fight to be seen as equals in a world and time that wasn’t ready for that. 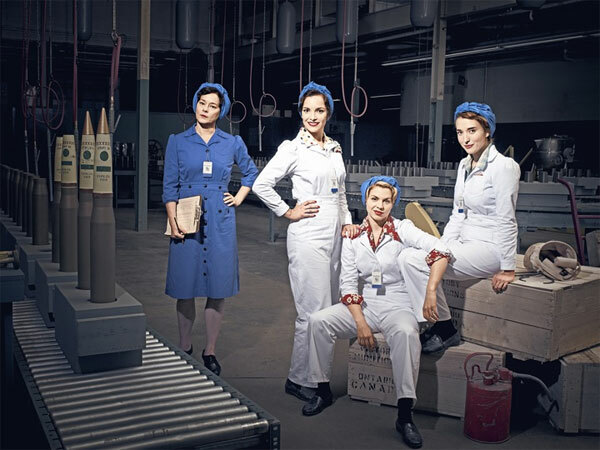 They stepped into the workforce to make a difference in the war effort and to prove that they could be more. It’s sad to think that at war’s end they were shuffled out of the jobs they had proven they could do, successfully, and expected to be happy to step back into the role of homemaker, because that was what the society of the time expected of them. The first episode sets all of this up wonderfully, and then terrifies you with a horrifying accident on the factory floor that left me gasping into my hand in disbelief. The war wasn’t just in Europe or in the Pacific, it was on the homefront as well. These women were as much soldiers as anyone else, a point that Lorna tries to make to a doctor in a fantastic moment as her daughter looks on, at first shocked and then so proud. I can’t recommend this show enough, there isn’t anything to pull you out of the recreated world on the screen, the costumes, sets, vehicles, the entire look is vintage. (The 40s always did have the best clothes and music). If you’ve missed it, you can rewatch it on Global’s website… and new episodes air regularly at 8 Wednesdays… Tune in!! (And I’ll tell you this, I do believe Sue and I are gonna see about interviewing some of the amazing cast for our podcasts, we’ll see if we can track them down). Next Post Vampire Diaries – Back With A Vengeance!!! I agree that it’s great to see something like this on Canadian television.